Support to dump database tables entirely, a range of entries or specific columns as per user's choice. The user can also choose to dump only a range of characters from each column's entry. Support to search for specific database names, specific tables across all databases or specific columns across all databases' tables. This is useful, for instance, to identify tables containing custom application credentials where relevant columns' names contain string like name and pass. Support to establish an out-of-band stateful TCP connection between the attacker machine and the database server underlying operating system. This channel can be an interactive command prompt, a Meterpreter session or a graphical user interface (VNC) session as per user's choice. Support for database process' user privilege escalation via Metasploit's Meterpreter getsystem command. 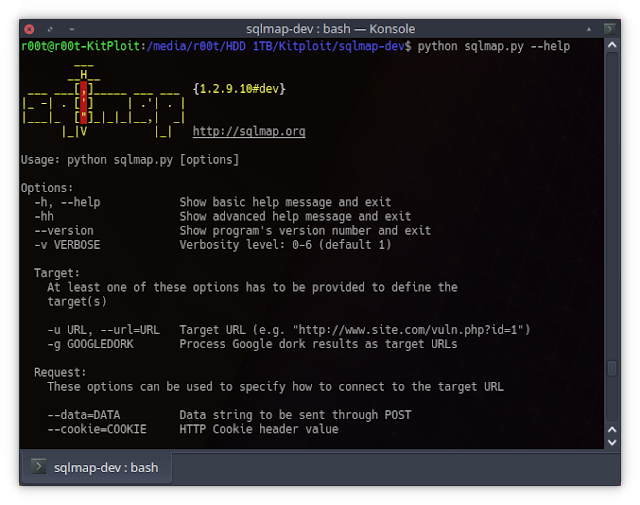 sqlmap works out of the box with Python version 2.6.x and 2.7.x on any platform. You can find a sample run here. 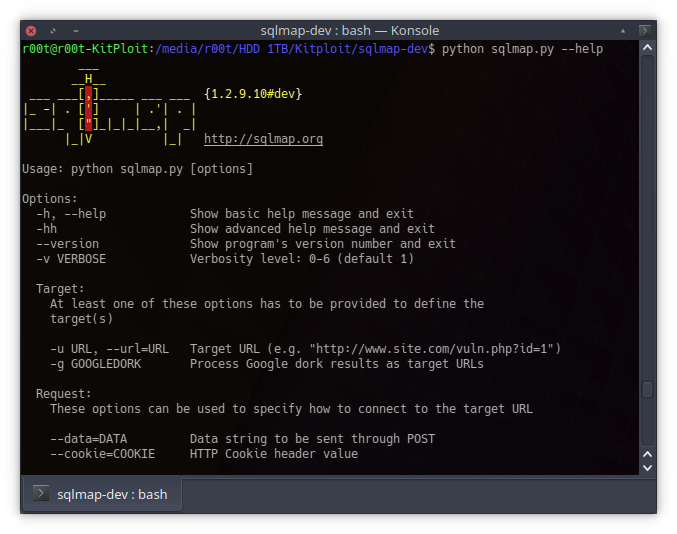 To get an overview of sqlmap capabilities, list of supported features and description of all options and switches, along with examples, you are advised to consult the user's manual.